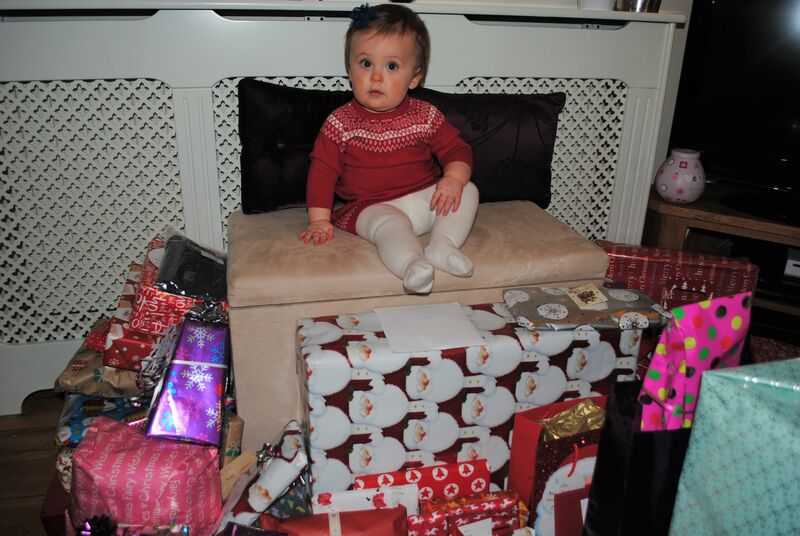 As Eva’s birthday is 30th December, when it came around to her very 1st Christmas she was pretty much as old as you can be, give or take 4 or 5 days. 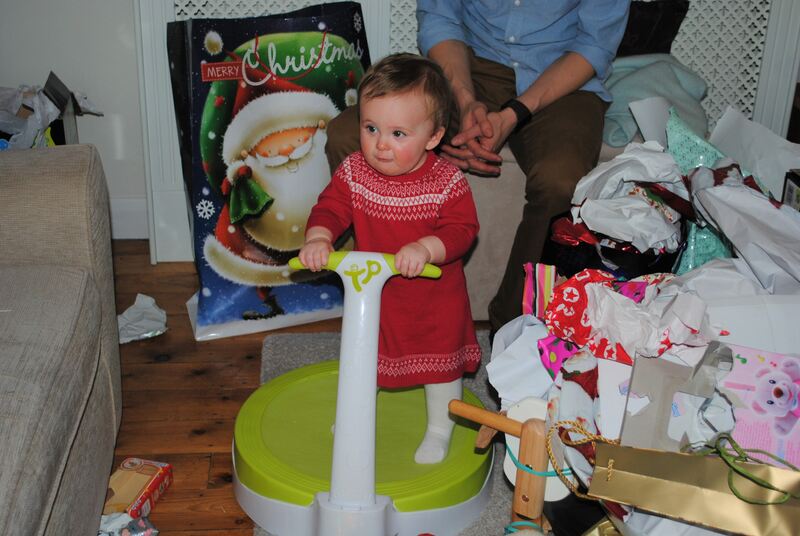 Whilst there is no doubt it is a pain for everyone involved having the two celebrations so close together it did mean that she was able to enjoy and understand a little more about her 1st Christmas than most and it made the day just that little more fun. Or at least that was the plan. 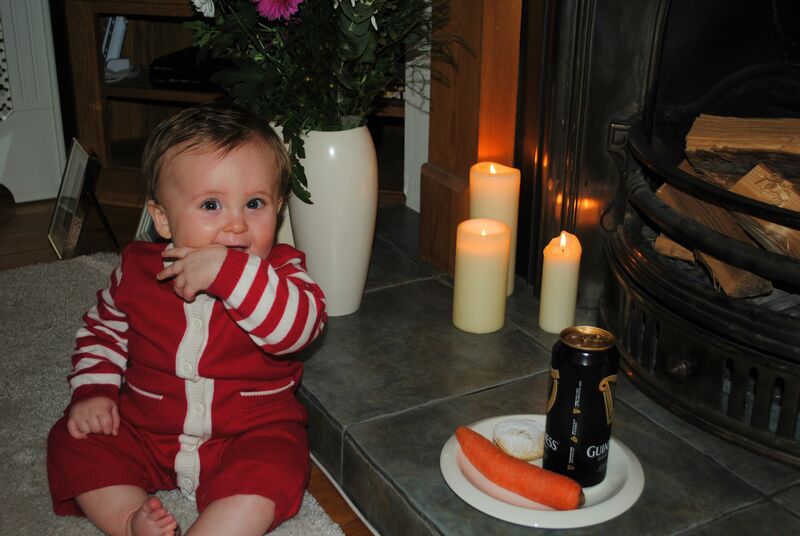 We set out a mince pie, carrot and our family offering of a can of Guinness for Father Christmas while all dressed in her red and white pyjamas I was determined she would fit into for the festive season, looking back I am not sure why! 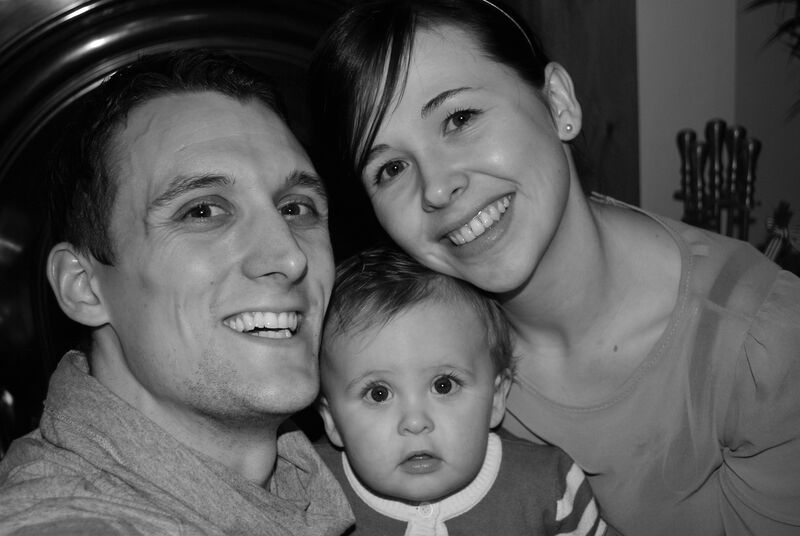 We put her to bed and raised a glass to our baby girls first taste of the excitement of Christmas and to how much everything had changed since last year when we were busy preparing the house on Christmas day for her imminent birth. The firsts always come with an element of reflection and ‘this time last year’ conversations don’t they? We also wondered what it would be like, Christmas with a child, would it be special or would it feel like just another day with the same routines and needs to be met, like every other? Unfortunately Eva got her very first bad cold on Christmas eve and even though it was 6 years ago I can still almost feel the stinging in my tired eyes as we whispered Merry Christmas and tried our hardest to keep those eyes open snuggled in bed come 7am, where we all were, still, shattered, together. It was the first time since she was a newborn that we ended up having her in our bed as she was, and still is, a very independent sleeper. That night though nothing seemed to help. The day went on though and she definitely coped fine with the sleepless night, better than us anyway, possibly something to do with the ability to nap for two hours in the afternoon! We didn’t actually buy her too much that first year that I remember because I think when you are new parents and also having both birthday and Christmas so close we sort of just divided it up and tried to avoid the massive influx of presents I would have to house in our then relatively small 3 bed semi. 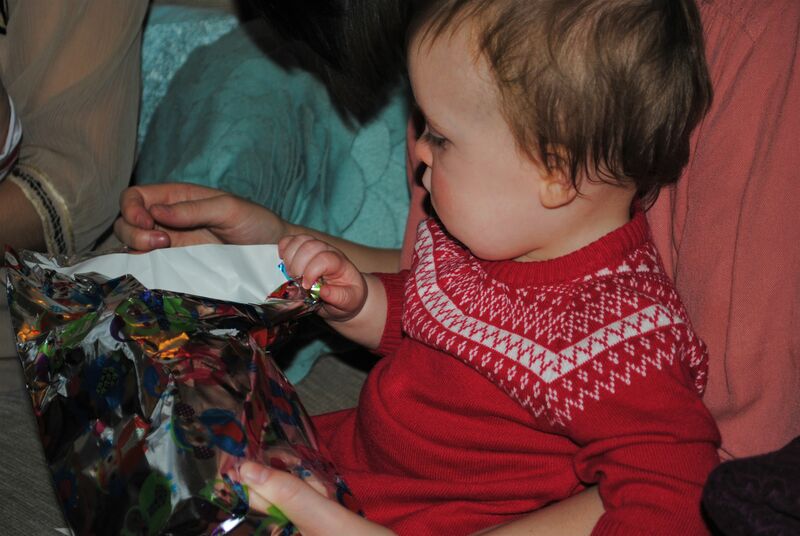 As it was she wasn’t all that interested in opening presents and wanted to play with whatever she had got which was rather lovely so we took it slow and we were still opening presents for days after. Trying to get them all open before her birthday came along was a task in itself! The one thing we did buy her was a little tp bouncer, almost like a mini trampoline and it was so so funny watching her try to jump on it but not lifting her feet from the surface at all! At this stage she couldn’t walk yet and did her signature bum shuffle so jumping was not on the cards, she would move her arms more than the rest of her body so dramatically, but of course was aggrieved that we were laughing at her. 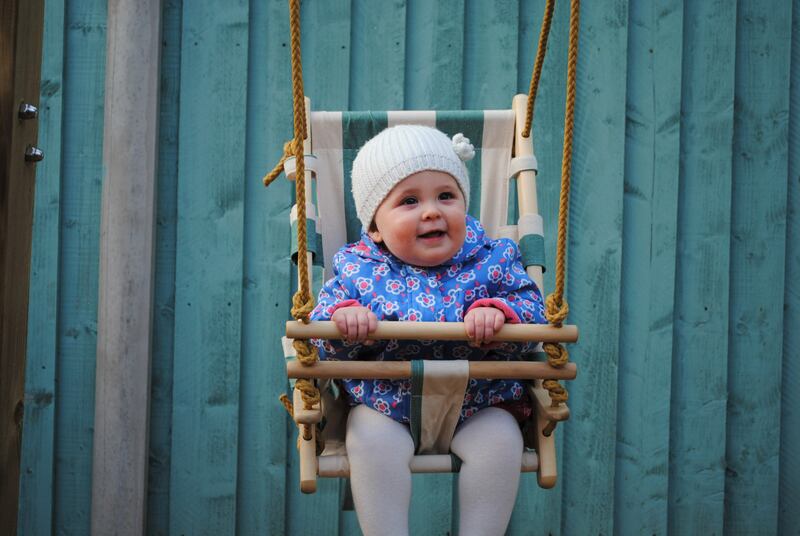 We were at home for the day so it was nice to be able to take our time and relax the whole day, we wrapped up warm before dinner to try out the new swing from her grandparents which she absolutely loved, come rain or shine, or even snow, she would happily sit back relax and be pushed in that! 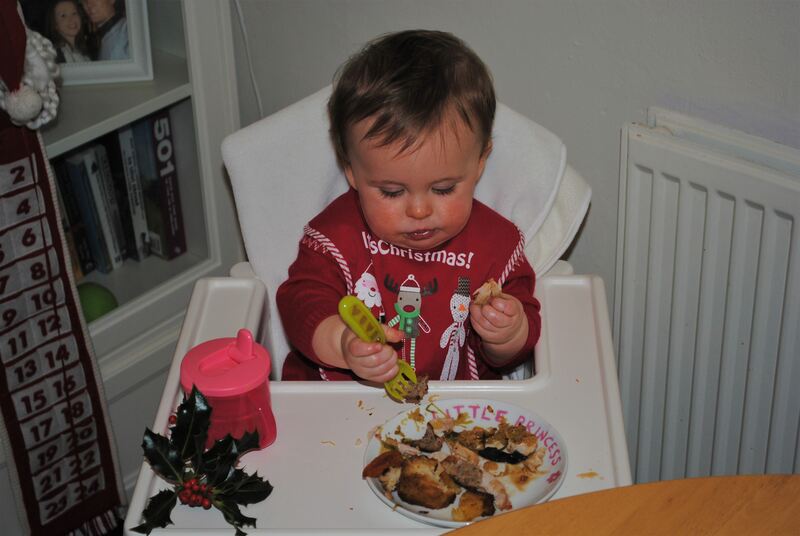 After a much needed sleep we introduced her to the world of Christmas dinner and despite the ‘taking over the world face’ as we used to call it she loved it and even had seconds, well it was Christmas after all. 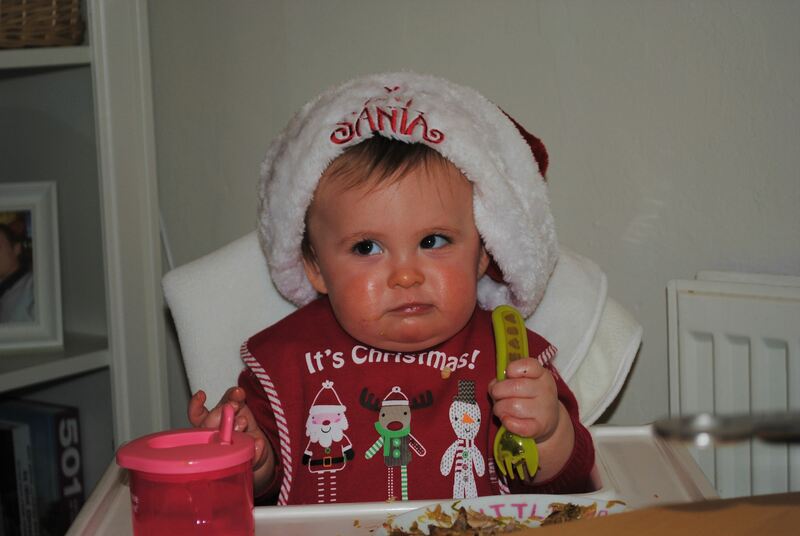 I also think the face is to do with the hat she feels embarrassed to wear, oh and the bib, and the general head to toe red and white when she knew I hated the colour the rest of the year! She has always had such a funny grown up character about her Eva has and I adore looking back knowing the person she is now and that really not much has changed! It’s funny how details so quickly blur when at times it feels like they will be clear as day forever, so much of the emotion of this time has completely faded away now, the tiny details of every hour, the words we uttered, how it really felt for us on that first special day as we put our little lady down to sleep and patted ourselves on the back that we had got here. What I do remember though is pride, for Eva, for the day, for the family unit we had created and because for me the magic of Christmas is a thousand times better with children to share in it. Little did I know that it would just get better and better. 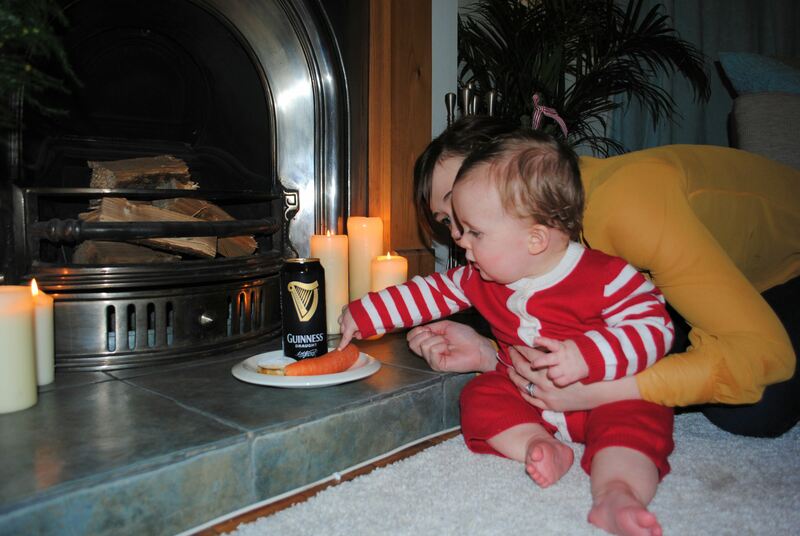 They’ll only ever be one first Christmas though and this one was hers. I always find it a bit tough if I am honest, my other is 1st Feb so it all comes at once and it can be hard can’t it?